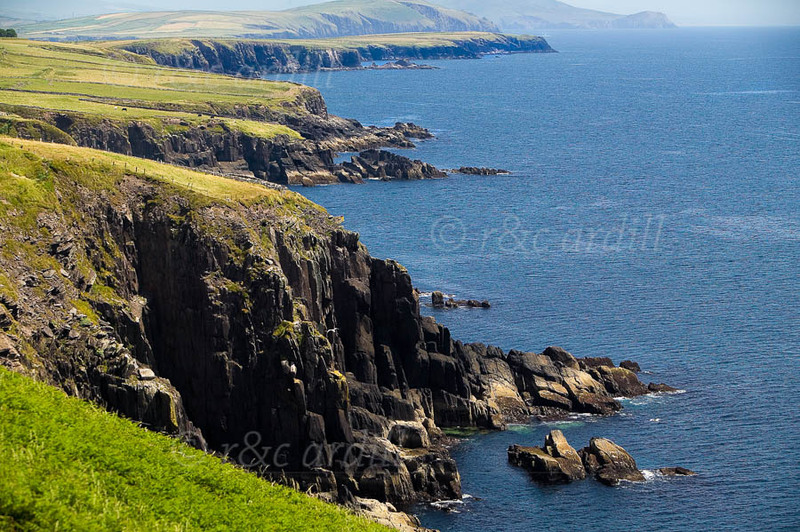 Photo of: West of Ireland: Kerry: Dingle Bay. A view of the cliffs alongs Dingle Bay looking east towards Killarney. This photograph was taken on a blistering summer day and the heat haze can be seen in the distance.